please download the latest firmware and flash it, then continue Jailbreak. Please use iTunes to backup your data in case of unnecessary lose. Before Jailbreak, please make sure turned off passcode and "Find My iPhone" function. Or Jailbreak will fail. Attention: if you forget your Apple ID or password,click hereto find it via official Apple website. Download and open TaiG Jailbreak tool for iOS8, Click "Start" button, and program will execute automatically, don't need other operation. During Jailbreak, please keep device connect stable and wait patiently. Open your device, Cydia is shown on screen, and untether jailbreak is finish. 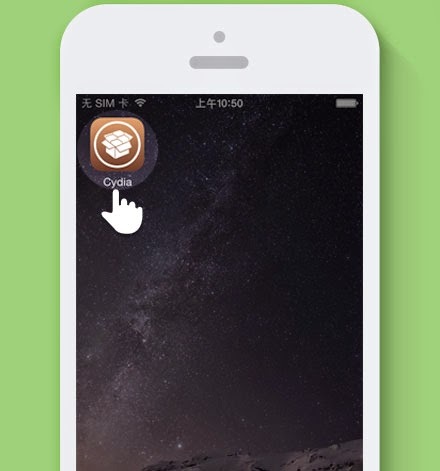 Now you can enjoy your time of TaiG Jailbreak.